Network Operator Group meetings are not only a great place to learn about and discuss current best practices, but also to socially network with peers, or in our case, APNIC Members. Earlier this month, I had the opportunity to extend my visit to Hong Kong, where I attended HKNOG 7.0, to meet with several of our Members in Hong Kong, as well as across the border in Shenzhen, China. Shenzhen is a major city in the Guangdong Province and forms part of the Pearl River Delta megalopolis, bordering Hong Kong to the south, Huizhou to the northeast, and Dongguan to the northwest. The city hosts the Shenzhen Stock Exchange as well as the headquarters of numerous multinational companies such as Tencent, ZTE and Huawei. Inform them about recent changes to APNIC policies. In one meeting, I casually brought up my plan to attend HKNOG the following day. They had never heard of HKNOG (even though it has been running since 2013 and was only a short train trip) but by the end of our conversation, this Member had registered to attend — hopefully the start of many visits from the region. 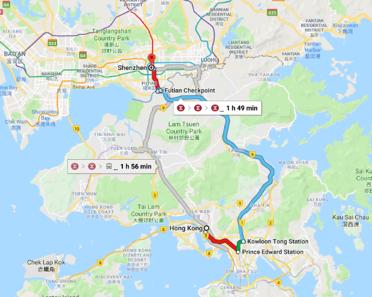 Figure 1 — High-speed trains make the trips between Shenzhen and Hong Kong super easy. Overall, I find that Members really appreciate these face-to-face meetings and talking in their native language, especially compared to the conversation through email. It’s also easier to explain topics such as RPKI and show them how easy it is to register a ROA. In this instance, it also provided an opportunity to bring together neighbouring communities, which in turn provides HKNOG more exposure, and the opportunity for our Members from Shenzhen to meet and network with a broad range of potential customers and business partners during the conference. As for the conference, it was another fantastic turnout with close to 180 Internet professionals attending the one-day event. The day started with a presentation by Anup Changaroth from Ciena, who discussed case studies of new transmission rates of ethernet cables. We learnt that AT&T has successfully completed testing a single wavelength 400 gigabit ethernet service across its production network. This has established a future network blueprint for service providers and businesses. In future, there are plans to bring the speed up to 800 Gbps in 2020, and 1.6 Tbps in 2030. Kenneth Chan (HKIX), who gave an update on HKIX, including their support for blackholing for anti-DDoS. Wong Weng Yew, the Chief Peering Officer of one of our newest Members from Malaysia, JBIX, also presented on Malaysia’s second Internet Exchange, located in Johor Bahru, and how they are positioning Malaysia as a hub for cost-effective transit. In addition to taking in the presentations, one of the most valuable parts of a NOG meeting is the ability to ask questions, which allows for knowledge and experience transfer with other network operators. As always, networking was a key component of the event with everyone enjoying catching up between breaks in the program and at the closing social event. It also gave me the opportunity to assist our local Hong Kong Members with their membership and IP address needs.